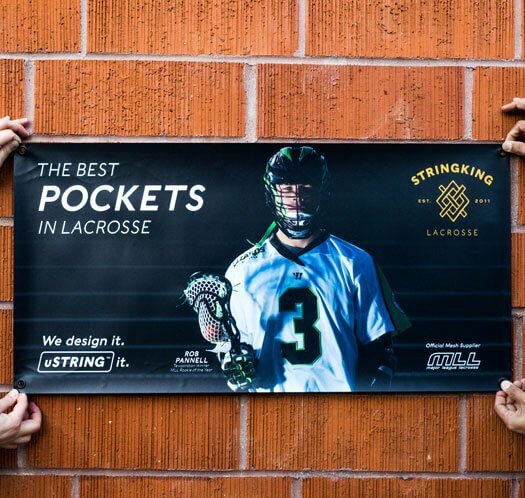 Banners are probably one of the most efficient ways to get content seen by a high volume of people in a short amount of time. If put up in a strategic location, your banner or banners can make a invaluable impact on your marketing efforts. What makes all of this even better? They're super affordable! 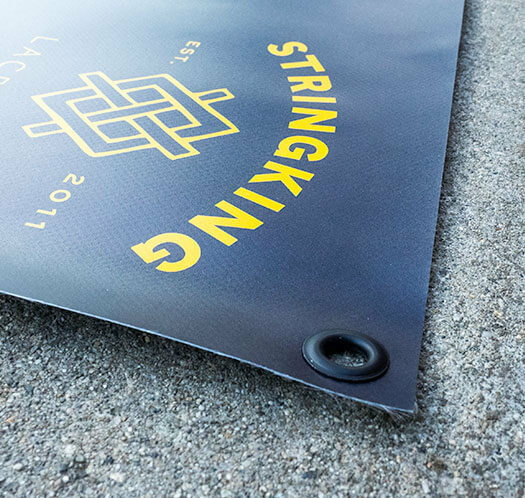 We print our banners on a classic 13 OZ Scrim Vinyl stock. The stock is available in either gloss or matte. The Scrim Vinyl is extremely durable and holds up well in most weather conditions. In advertising it's true, the more real-estate the better. However, banners don't always need to be 200 feet long (we're exaggerating of course), which is why we offer banner printing options that come as small as 2 square feet. Before or while designing, you want to think about the setting in which your banner(s) will be displayed. Keep in mind that your banner may be seen in passing. You want to strive to make your design as simple and decluttered as possible. Remember, content can be absorbed in a matter of seconds, but be remembered for a lifetime.